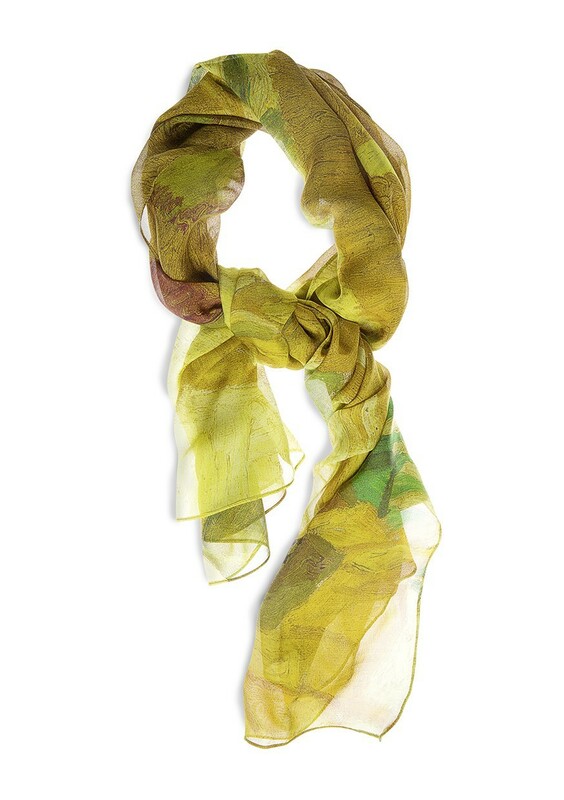 Unique and artistic accessory: a 100% silk Van Gogh scarf with a nice fragment from the masterpiece 'Plum Tree' by Vincent Van Gogh. 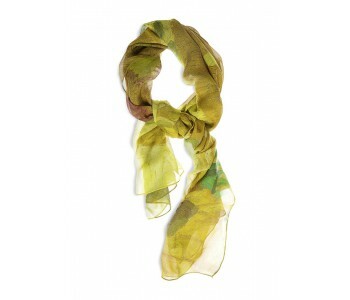 A beautiful, generously sized scarf: 136 x 82 cm. An elegant eye-catcher. Truly special: 100% silk scarf designed with a nice fragment from the famous painting Sunflowers from the collection of the Van Gogh Museum in Amsterdam. This Van Gogh scarf is rectangular and large in size: a length of 136 cm and a width of 82 cm. Delightful elegance and soft comfort. From the series sunflowers, there are three paintings with fifteen sunflowers in a vase and two paintings with twelve sunflowers in a vase. Vincent van Gogh painted these works in 1888 and 1889 while he was living in Arles, southern France. 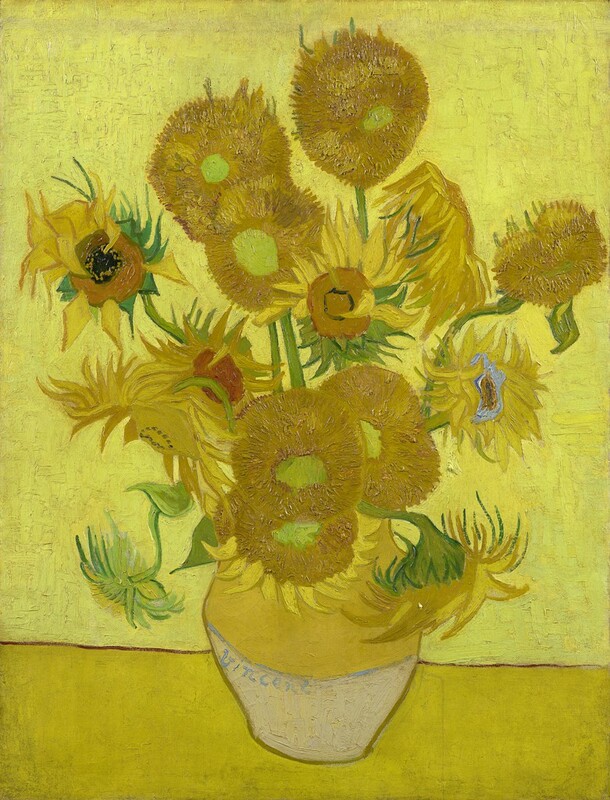 The paintings show the sunflowers in the various stages of their blossoming, from full bloom to their wilting. Paul Gauguin, a good friend of Van Gogh, had them displayed in his bedroom. Today, a trip to Munich, London, Amsterdam, Tokyo, and Philadelphia is required for those who want to see them all in person. The Vincent van Gogh scarf is based on the Vase with Fifteen Sunflowers displayed in the Van Gogh Museum in Amsterdam, which boasts the largest Van Gogh collection in the world . The museum hosts more than two hundred paintings, five hundred drawings, and seven hundred letters by Vincent van Gogh. In addition to the sparkling almond blossoms still life on this Van Gogh scarf, there are also scarves with the image of the famous 'Plum Tree' and 'Almond Blossom' painted by Van Gogh.